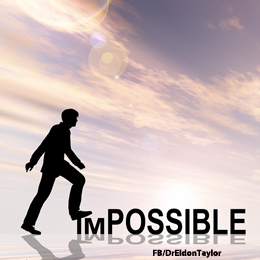 Eldon Taylor | Possible Human! In this week’s spotlight I wish to discuss possibilities. I truly think of the mind as the ultimate frontier. There are so many potentials possible that it is staggering to consider. Take for instance savant syndrome. What is it that happened when someone was struck in the head only to awake in the hospital a mathematical genius—seeing the world in fractal geometry? What mechanism makes it possible for an autistic child with a limited vocabulary to correctly read the mind of their therapist and type words unknown to them such as ‘synesthesia?’ How is it possible for a child who has never learned things such as geography to know all about it? What are these minds tapping into? In our conversation last week with Professor Darold Treffert, I asked him about just this—what mechanism can possibly explain this phenomenon? His thoughtful answer identified the issue—we don’t know. There are theories, of course. Treffert’s favorite is that the information is genetically passed just as eye color and so forth. Now this idea of memes being passed is not new, but can it be true that the information, the intelligence, of our ancestors is passed along—and if somewhere in our genetic makeup there exists the memory of a mathematical genius, all we need is the right provocation, a blow to the head, frontal lobe dementia, etc. to tune the brain somehow and thereby open pathways that deliver the knowledge to us? Another idea Treffert and I explored has to do with the notion that the universe is information/intelligence and somehow this intelligence is accessible. A bit like the Collective Unconscious model of Carl Jung, we tap into the information via some rare connection. Not long ago I spoke with Professor Bill Bengston about his work using information to heal. Bill has conducted research into anomalous healing, and has proven the effectiveness of his technique in 14 controlled animal experiments conducted in 6 university biological and medical laboratories. 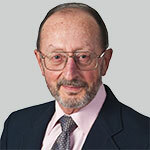 His healing research has produced the first successful full cures of transplanted mammary cancer and induced sarcomas in experimental mice by information transfer techniques that he helped to develop. He has also investigated assorted correlates to healing such as geomagnetic micropulsations and EEG harmonics and entrainment. Thirty-five years of research and clinical experience shows that Bill’s approach and method is a powerful energy therapy that can produce remarkable results for both people and animals with cancer, as well as helping other physical and emotional problems. Now here’s the real point, he uses information/intelligence to accomplish his healing and this method doesn’t require even the presence of the animal he is curing. How is this possible? Bill informs us that the universe is information/intelligence, and by utilizing it we can accomplish many things. Perhaps it is some sort of information field that we will discover both the brain and the body can tap into for all sorts of things ranging from healing to savant skills and abilities. Imagine a possible mind link–individual mind to collective or one mind—what possibilities might that provide? One thing is for sure, the potential exists, is demonstrated by various anomalies, and yet not fully comprehended. My thoughts, what are yours?